My next stage in my academic career is I am currently earning a Master’s from Russia, while concurrently completing my online Master’s in Sociology from the United States. I am attending the most influential university in Russia to network with Russians government officials. I anchor much of what I seek to accomplish in the inspiring turn of events of May 1787, in which only twelve London men formed the Society for Effecting the Abolition of the Slave Trade and abolished slavery in the British Empire worldwide within one generation. As the late anthropologist Margaret Mead states, Never doubt that a small group of thoughtful, committed citizens can change the world; indeed, it's the only thing that ever has. Today, war can be abolished the same way that slavery was two hundred years ago. This firm belief in peace is based on a long history of living abroad. I was living in Odessa, Ukraine in the Peace Corps when the terrorists hit the World Trade Center. I had an Arab friend from Dubai who was the kindest, most honorable, most incredible man I have ever met in my entire life. A couple of days after 9/11, I was walking on the warm promenade of the port city of Odessa with Jaz. In a low tone that was so foreign, he said, "If they [Americans] come to my country, I will kill them". I was shocked, how could the gentlest man I ever met hate America so much? That question haunted me even after I returned to America. After the Peace Corps, I earned a Juris Doctorate concurrent with a Masters in International Relations. In law school I wrote what would later become my second published book "America’s Other War, Terrorizing Colombia" which was published in 2017. To answer why my gentle Arab friend hated America, I wrote a SPSS white paper called, “Why do They Hate Us? Origins of Anti-Americanism A Framework for Analysis”. 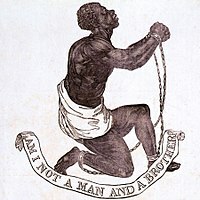 On May 22, 1787 twelve men met to abolished the slave trade worldwide. They formed themselves into a committee with what seemed to their fellow Londoners a hopelessly idealistic and impractical aim: ending first the slave trade and then slavery itself in the most powerful empire on Earth. In one short generation the British Empire, the largest slave trader in the world, abolished slavery, paving the way for worldwide abolishment of slavery. I passed the D.C. law bar in 2009 and started my legal career with the US Federal Government in DC. The breaking point with this job was I was working with another attorney to defend the government in the Guatemala syphilis experiment case, a case in which United States government doctors intentionally and covertly infected Guatemalans with syphilis. I quit shortly afterward in disgust. After years of research and writing, I decided the only way to influence American foreign policy was outside of the United States. I moved to Moscow in September 2016. In Moscow I set up an employment law practice with another attorney and successfully sued dishonest English companies in Moscow courts. With my contacts in the FSB (the current KGB) I realized that to effect social change, I have to do it within the tight, top down structure of Russia power. This is why I am pursuing another master’s degree in Moscow. 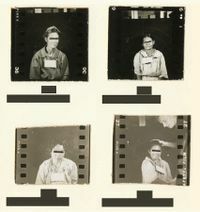 Pictured: Female patients from the Guatemalan psychiatric hospital who were exposed to syphilis as part of the experiments conducted between 1946 and 1948.